What follows is an interview with Pete Davis co-Founder of Naked Ape (with brother Mark) and a real inspiration for change. Go primal! 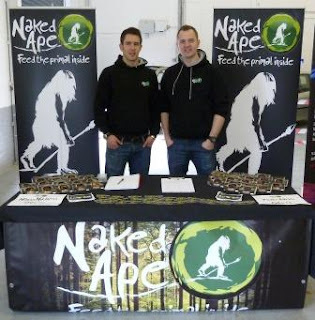 These guys are out there doing it and creating Paleo food on the go for the UK! Our favourite line from the interview? What do you think is the secret to long life and happiness. Eat clean and train dirty, practice what you preach and make sure you don't follow the crowd. Find the balance of work, life, training and nutrition that works for you and only you. You are not the same as the person next to you and what they do most likely won't work for you. True in ways just waiting for you to explore! What's in it? Each pack is made up from Biltong which is South African dry cured meat, nuts and fruits. All the packs are completely natural and no additives or preservatives are used in any of our ingredients. Who is the product aimed at? The packs were originally aimed at Crossfit Athletes as they follow the Paleo diet rather closely. This was to gain some following and then spread out. It is aimed at anyone from those who want a tasty snack and want to eat healthily to those who are elite athletes be in endurance, rugby, strength training. Everyone should be eating these packs instead of a packet of crisps or chocolate bars. What prompted you to develop " naked ape" and who do you think is eating it? When my brother and I started doing crossfit we were introduced to the Paleo Diet. After opening a gym and working full time myself and my brother working shifts, we found it really hard to always be prepared and finding good snacks was both hard and expensive. Like most people preparation was the hardest part for us. For no reason but laziness and being busy! We found some snacks online but they were in America and the ones we found in the UK we were not fans off. So we decided to make them ourselves and we have just grown from there. We now supply all through Europe and to many gyms through the UK and Europe. 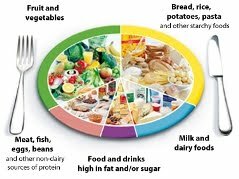 What difference has eating paleo has made to you? I’m a different person. I no longer have mood changes and feel down on myself. I am more focused, stronger and fitter than ever before and don’t feel sluggish when I wake up in the morning. Owning a gym and running a snack food company is a 24 hour a day life and paleo has helped so much. You feel mentally clear. My brother has lost over 2 stone himself and feels the same as I do. The biggest thing is not feeling bloated and tired all the time. Knowing you are fuelling yourself well makes such a difference to your mentality. Tell us a little bit about your company. We started in 2011 at an event in Swansea and have since grown like we never imagined. 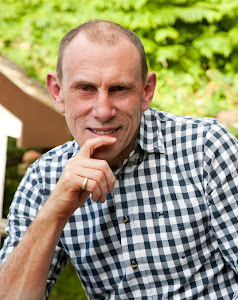 We are two brothers from Harrogate who had a desire to help people eat well and make the correct nutritional decisions. Our company promotes exactly what we say we do, we are nothing more and nothing less than our product and we expect the highest standards of quality and customer service that we can achieve. We started with 3 products and now have 15 in our range. We also run nutritional seminars as a sister company Barefoot Ape. We supply to gyms all over Europe and have a very busy website. Our future plans are to open a cafe and take over the world!! Tell us a little bit about yourselves - Peter - I am 27 and upon leaving university with a business degree I trained as a personal trainer as I have always had a passion in sport and fitness. I now co-own Crossfit HG3in Pannal, Harrogate and co-own Naked Ape with my brother Mark. Promoting a good lifestyle, effective training and good nutrition is what I love doing. I olympic lift and would love to compete in the future but I think I may have missed the boat!! Work is no longer work and more of a passion which will never die. Mark - Mark is 30 and upon leaving uni with a marketing degree worked for a few companies before a career change and becoming a Mental Health Nurse at Harrogate Hospital. He trains at Crossfit HG3 when time allows but follows a healthy and balanced lifestyle. With a keen interest in motor cycling, training and business Naked Ape allows Mark to bring his creative skills to the table as he does all the design and promotion for the business and so much more. What do you think is the secret to long life and happiness? - Eat clean and train dirty, practice what you preach and make sure you don't follow the crowd. Find the balance of work, life, training and nutrition that works for you and only you. You are not the same as the person next to you and what they do most likely won’t work for you. Intrigued? We'll promote anyone on out site who wants to make a difference to our world! Place your orders direct with the Naked Ape here and help these guys realise their dream. Great interview. I'm a big fan of Naked Ape packs. A cafe would be awesome!